If you’ve got a big blank wall that needs some color, there’s a fun, creative way to fill the space. Retro Planet recently took 30 of our most popular RetroPlanet metal signs and super sized them to massive proportions. The rectangular ones are 24″ x 16″, while the round signs are a whopping 28″ – big enough to use as a serving tray for a whole family dinner! 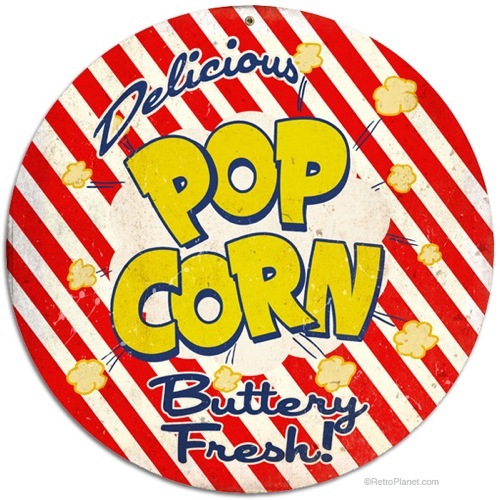 Each sign is made in the USA of heavy-duty, 24-gauge steel. They’re hefty, but made easy to hang with pre-drilled, riveted holes. These beautiful designs pop with vibrant color, charming retro themes and quirky humor. 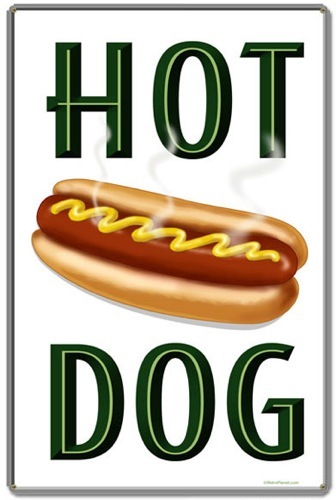 Many are food themed and will look great in a restaurant, break room or cafeteria, such as Hot Dog, Pizza or French Fries tin signs. 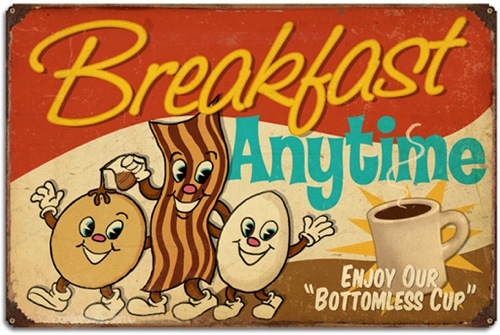 For diner fare, check out the Breakfast Anytime and Open 24 Hours signs. An oversized metal sign will make an amazing display piece for your home, too. 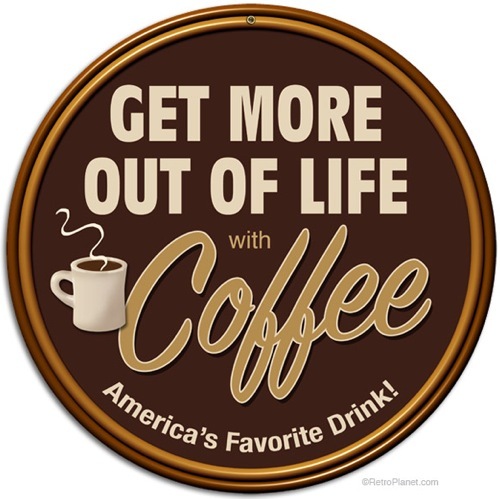 Perk up your kitchen decor with the Get More Out of Life with Coffee Sign, or top off your home theater with the Popcorn or Intermission round signs. 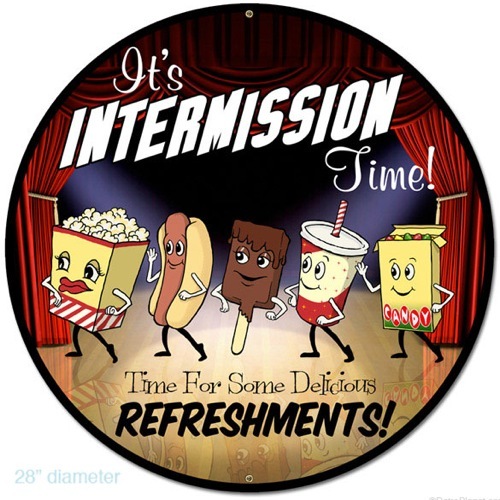 A unique rectangular Intermission sign with removable magnetic snacks is ideal for that personal movie room. The Tiki Bar Sign will bring immense island flair to your party room, while a man cave will get a boost from funky ad-style signs like the Chili or Bananas signs. It’s the combination of gorgeous retro artwork and massive size that makes these signs so unique. They’re true originals and you’ll express yourself in fun, colorful fashion wherever you display them. 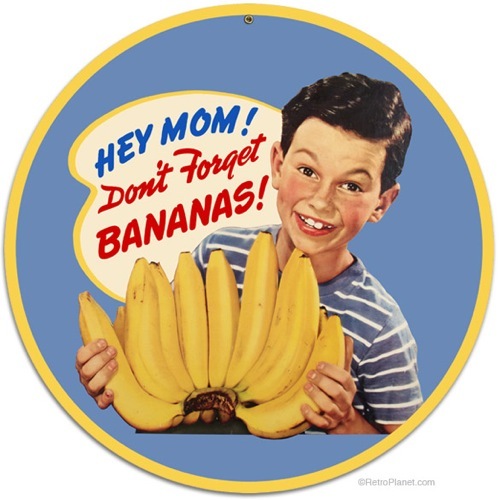 See, when you’re talking about retro tin signs, bigger really is better!